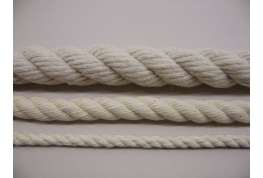 Cotton Rope is a natural fibre rope that is soft to the touch and therefore less likely to cause friction burns to skin. As a rope, Cotton has good natural fire retardant qualities. Cotton rope can be dyed.